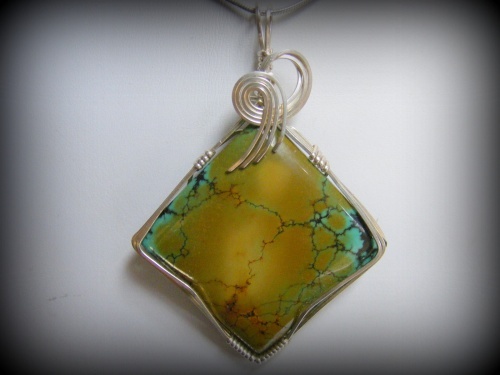 This striking piece of turquoise gemstone has brown running across it and the turquoise is on the tips of the square shaped stone making this stone extremely unique. Piece is framed with sterling silver curls and measures 2 1/4" long and 1 1/2" wide. Comes with a sterling silver snake chain.